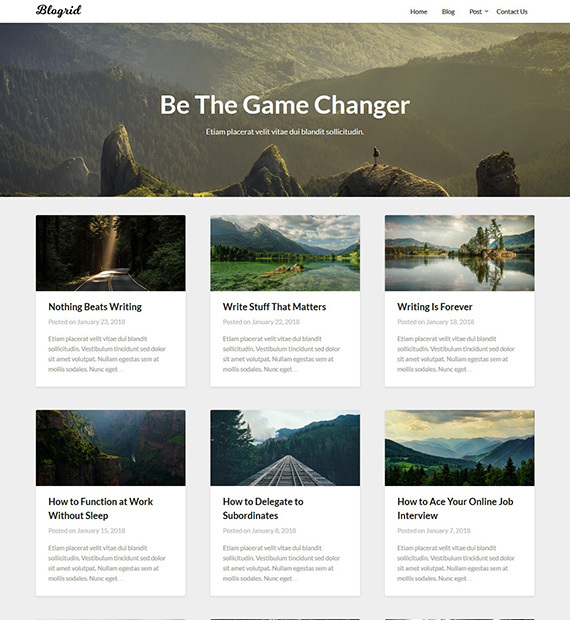 Blogrid is a free and lightweight WordPress theme that comes with a clean and modern look. Not only can you use it for a personal blog, it can also be a great fit for magazine or news sites. As it is highly responsive, the theme will ensure that your website looks beautiful regardless of the screen size. You can also use Page Builders with this theme to create a beautiful looking website easily. Furthermore, Blogrid has also been designed to be SEO optimized so your website will perform nicely in search rankings.